What it is: Sky News, a U.K. media outlet, revealed that it will use facial recognition technology by Amazon during its broadcast of the May 19 wedding of Prince Harry and Meghan Markle. The Rekognition software will identify wedding guests and display background information -- effectively digitizing and demonetizing the costs of human broadcasters to research and engage with guests upon arrival. What it is: At Google I/O, CEO Sundar Pichai shared a demo of Google Assistant's new natural language technology called Duplex, playing a recording of a phone call the AI assistant placed to a hair salon. The interaction was surprisingly lifelike as the human receptionist worked with the AI to book an appointment. "We're still developing this technology, and we want to work hard to get this right," explained Pichai. "We really want it to work in cases, say, if you're a busy parent in the morning and your kid is sick and you want to call for a doctor's appointment." What it is: The Verge recently profiled the latest highly automated warehouse of Ocado, a British online-only supermarket that also sells its technology to other global grocers. In this Andover warehouse, over 1,000 washing-machine-sized robots lift, move and sort groceries around the clock. Ocado executives say that when this warehouse is fully operational, it will be able to process 65,000 orders -- some 3.5 million items -- a week. What it is: In Tesla's most recent earnings call, CEO Elon Musk outlined his vision of the future of car ownership. 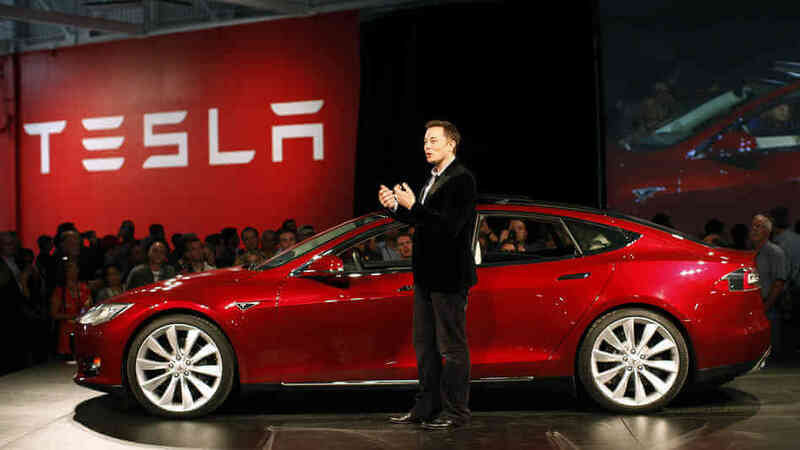 "The way things are obviously rolling towards is a shared electrical autonomy model," he said. Under this model, individual autonomous car owners would be able to rent out their vehicles to others and recall it at will. "You can say it’s available generally to anyone who wants to use it when you’re not using it, you can recall it at will, you can restrict usage to only friends and family, or only users who are five-star," he continued. What it is: China has announced a new 300 billion yuan ($47.4 billion USD) fund to incentivize innovation in the country's semiconductor industry. Currently, China consumes some 45 percent of the world's semiconductors, but only 10 percent are made in China by Chinese companies.